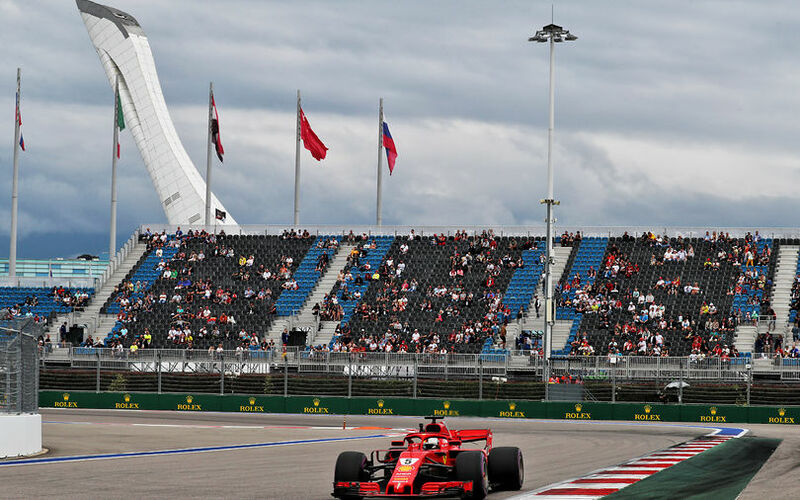 The Russian Grand Prix weekend kicked off with first practice at Sochi and saw Sebastian Vettel go fastest. The German was just 0.05s quicker than Max Verstappen, who later said that Red Bull found their car to be working better than expected. Still, Red Bull is no contender for pole position for Sunday's race, as race and gearbox penalties will see both cars dropped down towards the back of the grid. Championship leader Lewis Hamilton ended up third fastest, 3 tenths down on the pace-setting Ferrari and ahead of his team mate at Mercedes, Valtteri Bottas. Daniel Ricciardo was fifth fastest, even though he managed just 11 laps before he returned to the pits with smoke coming out of the back of his car. While his Renault engine seemed to be still running, the likely culprit was a gearbox issue, triggering Red Bull to remove the car's floor and investigate. Esteban Ocon - who is still without a seat for 2019 - was 6th fastest, topping the second Ferrari of Kimi Räikkönen. Magnussen and Hulkenberg were next up. Sauber's new signing for next year, Antonio Giovinazzi, completed the top 10. The Italian will likely be satisfied by his performance, topping Charles Leclerc in the other Sauber by 4 tenths. Other Friday drivers were Lando Norris, as he used Stoffel Vandoorne's McLaren in preparation for 2019. At Renault, Artem Markelov was given his Friday chance at his home Grand Prix as Nicholas Latifi sidelined Sergio Perez at Racing Point Force India.